Much of the sneaker world went into a frenzy when Converse announced that it would be making changes to its iconic Chuck Taylors. Besides some changes regarding where in the world the shoe was made, not much else has changed about the shoe in the nearly 100 years it has been in production. Many people often cite the "if it ain't broke, don't fix it" philosophy and this has been largely proven by the perpetual popularity of the shoe. Although the shoe is cool, one thing has always stopped me from owning a pair: comfort. As the owner of flat and somewhat funnily shaped feet, finding comfortable shoes that I can wear all day was always a challenge and the original Chucks were unbearable just trying them on, let alone lasting a full day in them. On July 28, Converse (now owned by Nike) made me reconsider the Chucks anew; they put Nike technology into the Chuck. The goal was to maximize comfort while minimizing the aesthetic changes, although they are noticeable if you look hard enough. 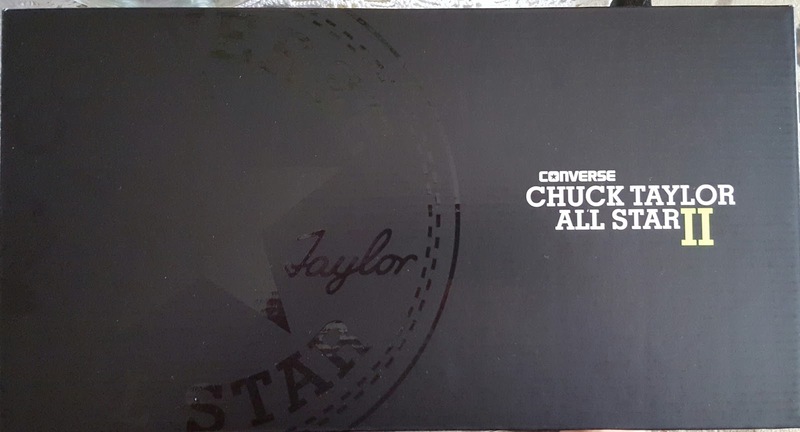 Thus the Chuck Taylor All Star II was born and with it, my hopes of finally adding the pair of the iconic shows to my collection. I eagerly ran out to try a pair on and I was not disappointed. 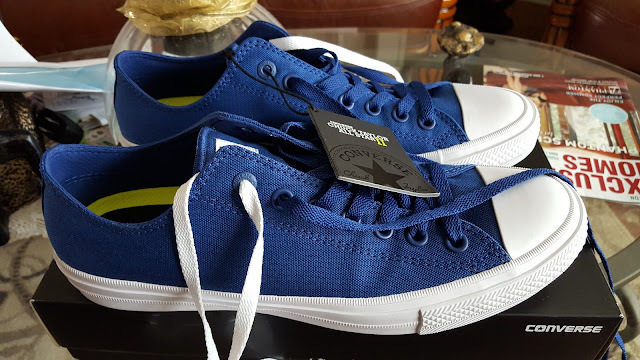 As advertised, the comfort was greatly improved and so a pair of blue low cut Chuck IIs was added to my wardrobe. The Chuck II has been completely changed on the inside including a Nike Lunarlon sole, new softer and more breathable cloth for the entire shoe and some additional breathable and non-slip lining for the tongue. The changes to the outside are far more subtle such as a molded logo on the back of the shoe as opposed to printed, the eyelets and laces matching the shoe color (although the shoes also come with a set of white laces) and a stitched All Star logo patch for the high tops as opposed to glued. But the overall look and feel of the original Chuck is maintained, at least in my opinion, although purists will beg to differ and that's a whole other blog post. But the true test was yet to come. How comfortable were they and could I really wear them for an extended period of time? So I decided to wear them out to lunch with my family which involved driving, walking, sitting around and playing with small children. After a few hours in them, my feet didn't hurt at all and they were rather comfortable. My only complaint is the lack of padding around the ankle which I could imagine becoming a problem with extended wearing and lots of walking. I'm not sure if this is a problem with the high tops or if the problem would exist i was wearing full length socks that covered my ankles and provided additional padding. All in all, I would say Converse successfully executed its plans with the Chuck IIs and I fully expect to continue enjoying my comfy Chucks for a while. The Chuck Taylor All Star II comes in four launch colors of blue, red, white and black in both the high and low cut styles and is now a viable style option for those of us who are comfort oriented.